For kids and kids at heart, there is nothing more thrilling than the total sensory experience of embarking on a ridable miniature railway. Often scaled down versions of full-sized railway trains, miniature railways are found in urban parks or private businesses for the pleasure of the public, young and old. With your next weekend adventure in mind, we’ve curated a short list of some of Australia’s favourite ride on model railways. The only miniature railway running along a foreshore in Australia, the Portarlington Bayside Miniature Railway (established in 1999) winds through eight hectares of untouched native parklands. Boasting views across Port Phillip Bay, the facility features a vintage signal box and Railway Station with an undercover platform built to accommodate up to 70 guests. Enjoy afternoon tea and light refreshments at the station kiosk or set up at one of the free barbeques and picnic tables for a family lunch. 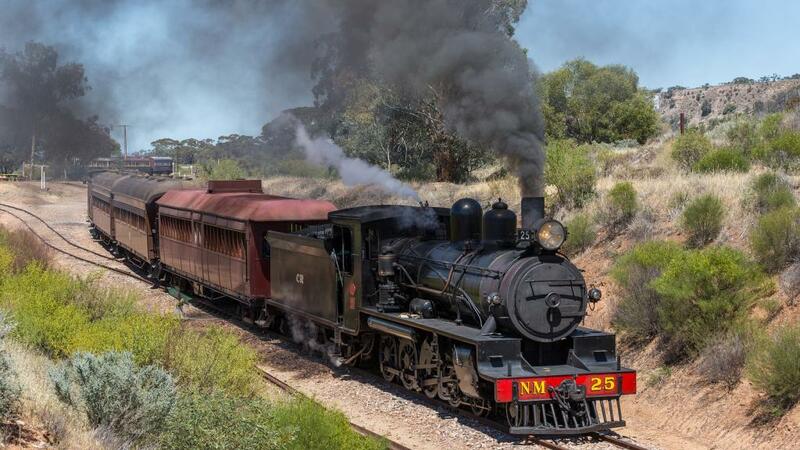 Diamond Valley Railway travels through pristine Australian bushland within Eltham Lower Park. The complex ride takes passenger twice around the 2-kilometre route. With tunnels, hills, signals, switches, bridges, stations and crossings along the way, passengers are treated to a true railway adventure. Operated by the Walka Model Engineering Society of Maitland, the Walka Miniature Railway runs for 1.5km through untouched bushland and along a lakeside track before reaching the terminus at Cedar Place. Running three locomotives on the tracks, the park is open on the 1st and 3rd Sunday of every month. Just 30 minutes from Ipswich, guests will find the Grandchester Model Steam Railway authentically mimicking the bustling activity of a real station. Awaiting passengers, the ride on models of genuine coal burning steam engines sit at the platform as kids watch the drivers prepare the locomotive by stoking the coal, blowing whistles and releasing steam, an exhilarating experience at close quarters. Twice a month the South Australian Society of Model & Experimental Engineers run model locomotives along a 3 ½ guage and 7 ¼ guage track, powered by steam, internal combustion or battery. All privately owned, SASMEE is entirely volunteer run as they work to encourage community interest in model making, tool making and experiential engineering.